Go Daddy recently announced the launch of Go Daddy Website Builder’s mobile component – a service that automates the integration of Web and mobile sites to save businesses time and expand their customer reach. The addition of mobility to Website Builder enhances Go Daddy’s lineup of mobile-friendly products ready to take any business from an idea to revenue generating in a matter of hours. The aggregate effect is efficiency, productivity and top- and bottom-line growth for SMBs worldwide. "Go Daddy has been helping millions of small business owners harness the power of the Internet to build their businesses for more than a decade,” said Go Daddy President of Products and Technology Jason Rosenthal. “With today's launch of mobility within Website Builder, we're enabling our customers to instantly optimize their sites for the hundreds of millions of smart phone and tablet owners." More than 700,000 existing Go Daddy Website Builder sites will be mobilized as part of the product launch– catapulting Go Daddy to be one of the largest mobile website hosting companies in the world. Traffic from wireless devices will exceed traffic from wired devices by 2014. 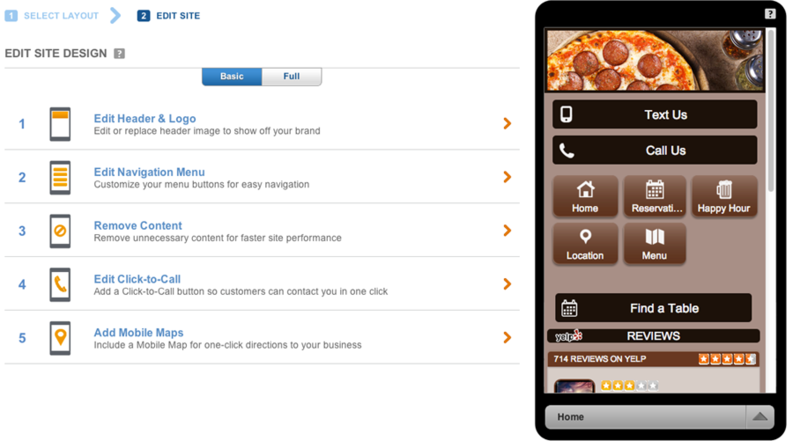 Delivering a tailored mobile experience to website visitors is essential to increase loyalty and revenue. Designed especially for non-techies, the new Website Builder gets small business owners online and mobile in three simple steps. Users select a business category, choose a pre-built website loaded with expert-written content and publish to the Internet instantly. The mobile version automatically reflects changes to site content, ensuring that, regardless of access point, content is current. Customers using the premium version of Website Builder have the ability to edit the mobile layout, colors and add features like click to call, click to text and mobile maps. To attract attention to a business, Website Builder also offers enhanced features like search engine optimization (SEO), a social media platform and integrated apps such as Yelp, eBay and Flickr among others. To learn more about Website Builder, visit GoDaddy.com/WebsiteBuilder. To learn more about Quick Shopping Cart, visit GoDaddy.com/QuickShoppingCart. Go Daddy is the world's largest domain name provider, Web hosting provider and new SSL certificate provider, focused on helping small businesses grow larger. Go Daddy provides dozens of cloud-based services and is the largest worldwide mass-market hosting provider by annual revenue according, to Tier1 Research (Mass-Market Hosting Report-Winter 2011) and is the #1 provider of net-new SSL certificates for 2011, according to the Netcraft, LTD Secure Server Survey.